In the recipe above, I carefully selected the cheeses I used based on their flavors and my past experience with them. 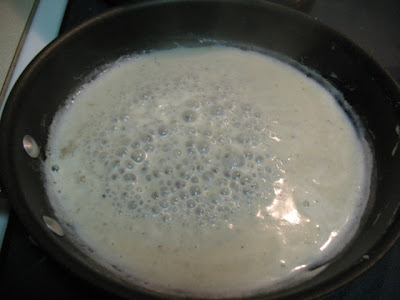 Flavorful sauce is very important to me, and when making a cooked cheese dish, like mornay sauce, it is essential to start with flavorful cheeses to ensure a good final product. You might be thinking though, do I really need to use aged Swiss gruyère, aged Irish cheddar and Italian parmigiano-reggiano? Well no, you do not have to. You might not have access to such cheeses or you might not want to pay for them. But substituting inferior ingredients will create an inferior product. The question is though, how inferior? Could substituting less expensive cheeses still yield an acceptable, even tasty macaroni & cheese? What if I substituted the least expensive cheeses I could find without switching cheese types (i.e. switching to American cheese)? To find out, I made the same dish but with the least expensive comparable cheese options: store brand sharp cheddar, Swiss cheese and parmesan (the kind that comes in a shaker). These cheeses cost less than half what I paid for the other cheeses. I also used skim milk and skipped the bread topping. Chris and I sampled the store-brand cheddar and Swiss cheeses. We were struck by how flavorless they were. In fact, they tasted almost the same, with the Swiss having a slight tang. The cheddar, despite being labeled "sharp," had less flavor than many medium cheddars I've tasted. The canned parmesan was notably saltier than parmigiano-reggiano and lacked its nutty taste. The béchamel made with skim milk was noticeably thinner than the that made with whole milk (below), although it worked fine for melting the cheeses. The cheeses also melted just fine. The resulting sauce wasn't as creamy, but there was no graininess to the consistency. And the dish didn't look bad--it looks similar to the other, although without the topping. However, there was a big difference in flavor. In fact, there was hardly any flavor. It was very flat in comparison to the original recipe. 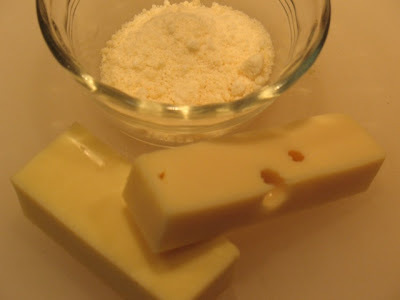 If I were making mac & cheese and these were the only cheeses I had available, I would definitely add some mustard (either powdered or prepared) to give the sauce more zip. A lot of recipes call for mustard, although it's not necessary if you're using really good cheese. Another option would be to compromise between the high-end and store-brand cheeses--there are certainly good options between the two. It's a pretty forgiving recipe and you could use almost any combination of hard cheeses or just one cheese. This experiment was a real eye-opener. 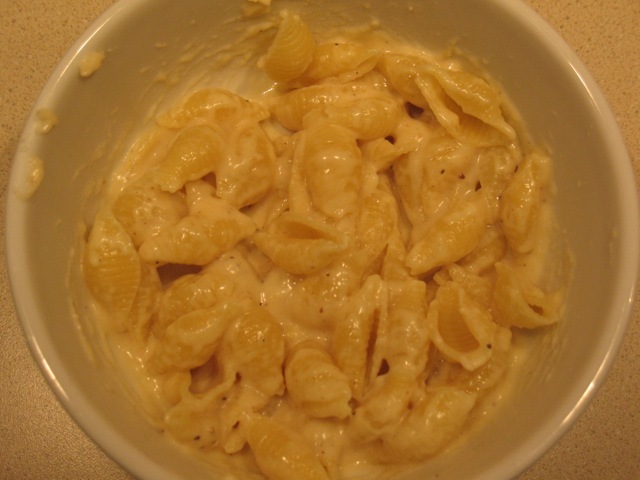 You're right: The mac and cheese made with the store brands was downright flavorless.